Who doesn’t love the volcano experiment? We will get to that in a minute, but before you go running for the vinegar and bread soda do you want to learn a little about them? Firstly, what is a Volcano? It is basically just a hole in the Earth’s crust. The word Volcano comes from Vulcan, the Roman God of Fire. Most volcanoes occur at weak spots in the Earth’s crust. Scientists that study volcanoes are called Vulcanologists! 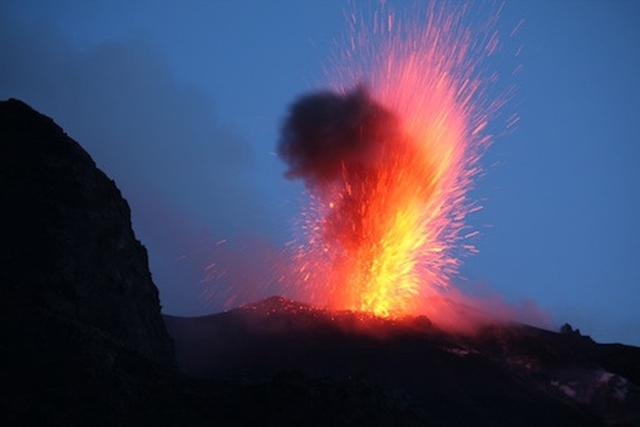 Scientists use a scale to measure the strength of volcanic eruption – it is called the Volcanic Explosive Index (VEI). The VEI scale ranges from 0 to 8; volcanic eruptions of 8 are called super volcanoes. How about a bit of history? Mount Vesuvius in Pompeii, Italy erupted in 79 AD killing all the inhabitants of the city. Everything was covered in a thick layer of ash preserving the scene as a snapshot in time. The last super volcano to erupt was Toba on Summatra in Indonesia, 74,000 years ago. It spewed so much volcanic ash into the air that it blotted out the Sun, causing a volcanic winter that lasted nearly six years. Krakatoa in Indonesia erupted in 1883 spewing hot ash more than 50km into the air. The force of the explosion was heard as far away as Australia and caused a tsunami. Ever wonder what comes out of an erupting volcano? When a volcano erupts it spews out hot liquid rock, dust, ash, rocks and poisonous gases. Magma is hot liquid rock contained under the Earth’s surface. When magma escapes from a volcano it is called lava. cool and fall to Earth as solid rock. up to six metres in diameter? 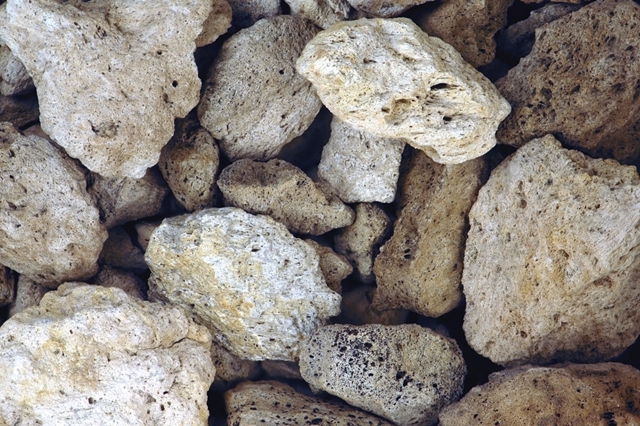 Pumice is a type of volcanic rock, formed when frothy lava cools quickly? It is a very light rock that can float on water! And the largest volcano is…? The largest volcano on Earth is thought to be Tamu Massiff off the coast of Japan, and is completely contained under the Pacific Ocean. 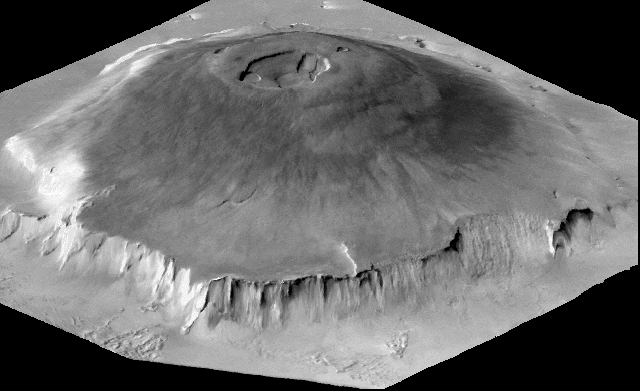 The largest volcano in our solar system is Olympus Mons on Mars. It is slightly narrower than Tamu Massiff but has a larger overall mass. You will use the jar as the volcano. If you want to make it look more realistic you can cover it in modelling clay, shaping it like a volcano and let this dry overnight. To make the volcano erupt, first add some water into the jar (about one third full). Add a big squirt of washing up liquid and a few drops of red food colouring. Add one large tablespoon of bread soda and stir well. Place the volcano in a clear plastic basin or deep tray. Finally add vinegar, filling to near the top of the jar. Stand back and watch the fun! To get the volcano going again just add more vinegar and bread soda! The vinegar and bread soda react to form carbon dioxide gas. This gas gets trapped in bubbles formed by the washing up liquid making the lava appear thick and foamy.